The rich and famous have always had a leg up on the best seats at first-class restaurants, high profile baseball games, and concerts. None of us are immune to feeling the disgust as to the unfairness the almighty dollar causes in everyday life. Wealthy Americans have been using monetary donations to get their kids into the best schools for years. 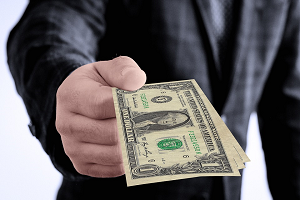 We all are aware of fraud, bribery, nepotism in corporate America yet when it comes to education, we don’t hear as much about the unfair act of bribery. The recent news of this issue has shed much light on this unfair practice. The act of dishonestly insights hatred to the highly respectable and hardworking students, teachers, and universities that do play fair. The honest actors, students, business leaders, teachers and coaches have to feel the black eye of scrutiny. Another issue today in schools is the practice of address fraud. When parents are dishonest about where they and their children live and provide false proof of residency documents, they are risking felony for records tampering. This practice causes lack of trust in the school district and poor morale of parents that play by the rules. The effects of address fraud are far-reaching. In the end it costs everyone involved.